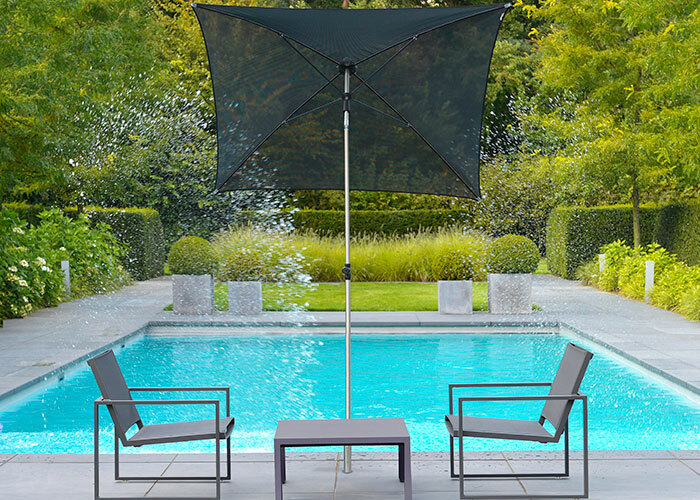 The Verona parasol has a stainless steel pole combined with metal stays and an Acrylic or Batyline canvas. The pole of the Verona parasol consists of two sections, is adjustable in height, equipped with a tilt system, and has a push-up system for opening and closing the parasol. This parasol is available in sizes 160×160 cm, 180×180 cm and 130×180 cm with an Acrylic canvas in the colours ecru, white, taupe, black, yellow, light grey, or royal blue, or with a Batyline canvas in the colours white, coffee, or black. 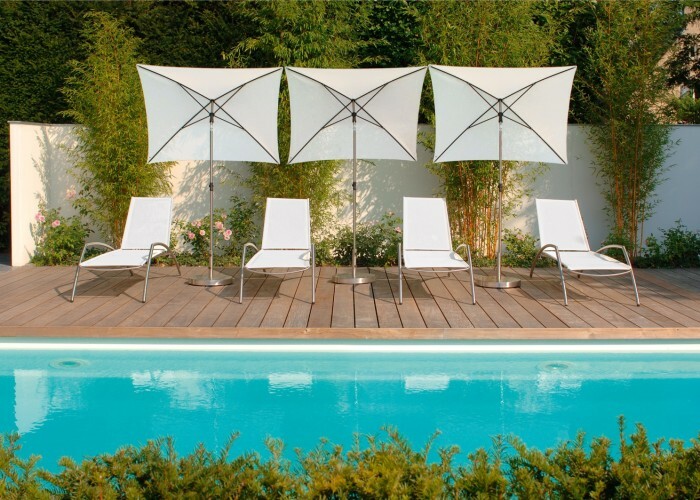 The Verona parasol can be combined with a protective cover and various parasol bases from the Borek collection.